This book is a "how to" guide for developing, implementing, and evaluating parenting plans tailored to your family structure and needs. 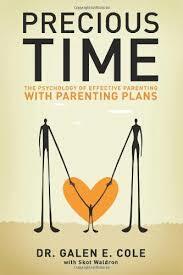 The parenting methods presented in this book are not theoretical fun and games. Rather, they are based on what works and what is needed to raise healthy, happy, and responsible children of all ages. Therapist and father of five, Dr. Galen Cole, provides information about how to effectively manage your family and train your children, and the tools to systematically do both. Dr. Cole provides you with: * guidance on how to establish and communicate boundaries * how to contract for desire behaviors * how to motivate your children to do what they say they'll do * how to understand your own family brand * how to evaluate performance * and, when and how to obtain resources (books, training) or call in a consultant (counselor, religious leader, teacher) to provide you with insight into difficult problems.